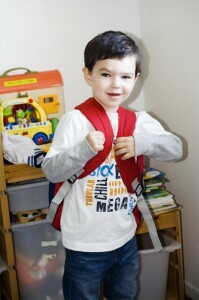 This year, my younger son Tyler (3yrs old) started JK… his first time in school. He’s so very excited for it because he’s watched his older brother, Cameron (6yrs old), go off to school for 2 years now. And even though Tyler is still only 3, he’s more than ready. He can count pretty high, knows his alphabet, goes to the bathroom on his own and most of all… he’s just so crafty. 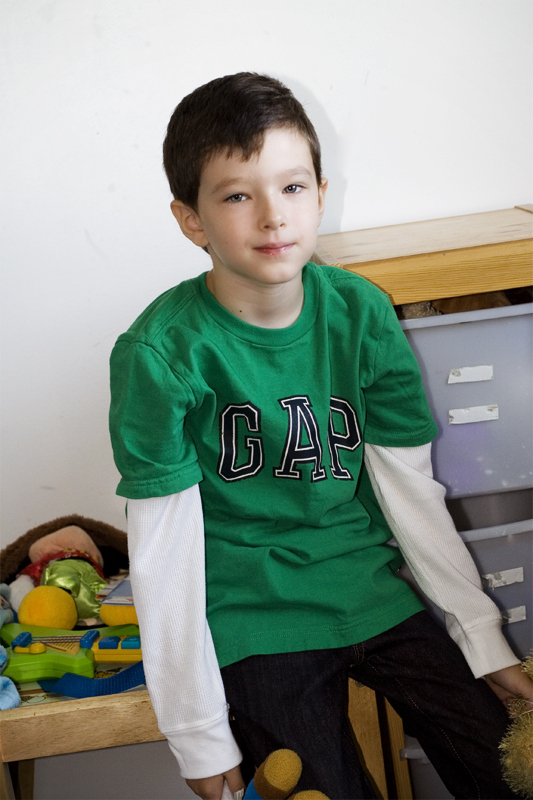 He loves to paint and build things… school is so perfect for him. Still though, even when it goes perfectly for the most willing of children, school can be overwhelming for the first little while. I’ve written many many times about how I picked up my family and moved over 850km away to get Cameron into this school because of their amazing Autism classes… this year, Cameron is back for his 3rd year (grade 1 this year!) and he gets the same teacher, the same teachers assistants and some of the same classmates. A couple of children have gone off to IBI or to another classroom but his familiar friends are still there. Cameron is doing exceptionally well thanks to this. There is another added benefit though, which I have not discussed, because we had not yet reached that point but this year is the year… his little brother gets to attend the same school! It’s a normal, run of the mill public school but they have 4 special classrooms especially designed and equipped for children with Autism. This means that while Cameron is in his class of 4 children (including him), with 1 teacher and 2 aides…. Tyler, his little brother, is across the hall! Cameron has never had a huge problem with hugs or showing his feelings but then again, it’s not as natural for him as it would be for most other children either though. Trying to get that out of him where he’s not quite as comfortable is even tougher… like say, at school. But that doesn’t stop him when Tyler needs him!! Oh no. Tyler knows that his big brother is across the hall and when the anxiety gets too much for him, he knows to ask his teacher… so his teacher takes his hand, walks him across the hall, Cameron stops what he is doing, gives his little brother a big hug and tells him that he’s ok… and Tyler goes right back to his class, feeling so much better. Cameron told me that he remembers when he first went to school… for the first 6 months or so, he had a very hard time because he “didn’t feel safe.” I told him that sometimes, Tyler might feel that way too but mom and dad can’t be there to help him. Cameron stepped up to the task in a huge way and is genuinely eager, excited and willing to help out his little brother. He wants be the big brother that Tyler needs. Tyler - Ready for his first day! While I am excited about this, I’m not surprised.. and I’m sure those that know Cameron won’t be surprised by this either. Still though, as a parent, I’m still so very proud. Also, if you’re a parent of a child with Autism, I’m sure you can understand that even though I’m not surprised, I’m still… well, I wasn’t going to believe it until I saw it. Cameron amazes me every day, as does his little brother, but I still put no expectations on him before hand. He won’t disappoint me if he doesn’t do it, he won’t surprise me if he does do it… but it’s never necessary because sometimes, he just doesn’t do what some might expect of him. And while it doesn’t surprise me, what does get me is that he’s so willing to stop what he’s doing… to break routine… to show affection right there in front of everyone… and to know and understand what his little brother is feeling. In that moment, when his brother needs him most.. he is not autistic. There is no Autism. There are no teachers. There are no parents. There is only Tyler. His little brother. And he loves him. How fabulous! I’m sure that you are very proud. You’re a lucky dad to have two great kids like Tyler and Cameron and an even luckier dad to have such a great school program! And by the way, what a great blog! Really well thought out, touching and frequent posts! If you ever have a post you’d like to share with our community, we’d love for you to drop by http://www.facebook.com/rethinkautism and say hello!